Infection wounds enemies, and deals damage for longer if scoped. The viral agent in the Injector’s phial applies Infection to enemies. Scoped shots deal additional damage. Beatrix replaced her fragile integumentary system long ago with a hardened casing and a suite of prosthetics resistant to toxins and physical trauma alike. Increases Beatrix’s or a targeted ally’s attack speed while enemies take damage. Beatrix fires a rapid barrage of homing projectiles that each deal damage and weaken enemies, reducing attack damage. Allies affected by Patient Zero now spread Infection to enemies that attack them. Allies affected by Patient Zero steal life on any attack. 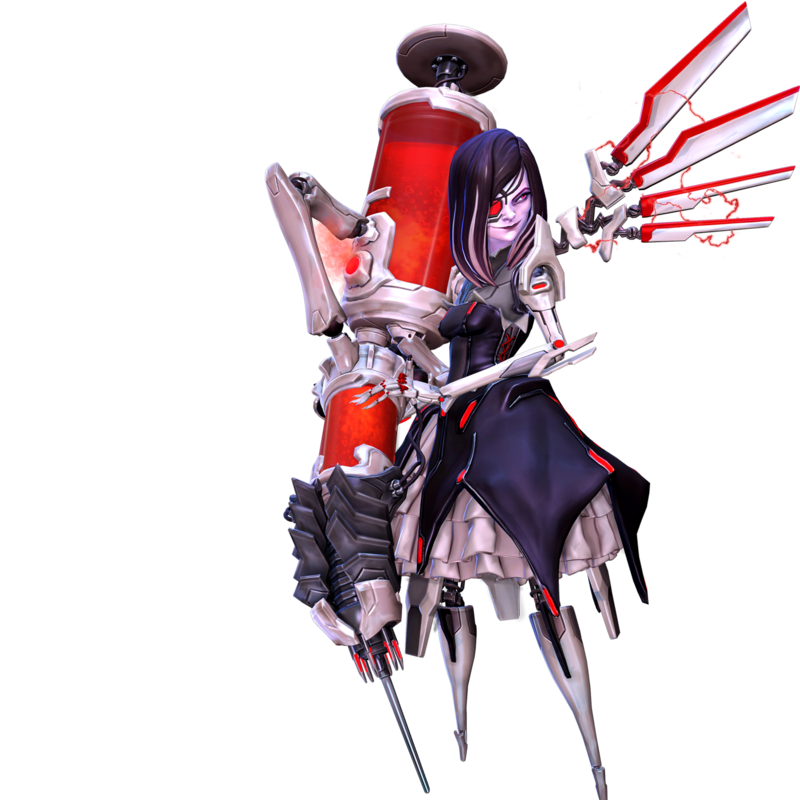 Beatrix uses her Injector to melee targets, increasing her damage and stealing life from her targets. Activating Fulminate instantly refills Beatrix’s Injector. Infection deals damage to all enemies near the affected target. Reduces Patient Zero’s cooldown time, allowing more frequent use. Increases Beatrix’s Incistyx Injector ammo capacity. Increases the duration of Patient Zero. Killing an enemy with Fulminate lowers the cooldown time of Outbreak. The main target of Outbreak is marked for death. If the target is killed while Outbreak is active then all enemies in the area are stunned. Enemies hit by Fulminate projectiles will now be silenced. Allies affected by Patient Zero take reduced damage. Enhances Beatrix’s optical implant with modular magnification, increasing maximum zoom distance. Activating Fulminate sprays an aerosol solution around Beatrix, slowing nearby enemies and speeding up nearby allies. Enemies affected by Infection take increased melee damage. Reduces Fulminate’s cooldown time, allowing more frequent use. The Incistyx Injector syphons a portion of damage dealt, restoring Beatrix’s health with each shot. When targeting an ally, Patient Zero also applies to Beatrix. Increases the damage of Fulminate. While a target is affected by Outbreak, a portion of damage dealt to the target is dealt to nearby enemies. Outbreak no longer deals damage over time.